The vast majority of doctors will be eligible to claim for doctor tax relief on professional fees and Professional indemnity insurance. If you are a doctor who uses their own car for business use, travelling to varying locations a claim for business mileage is also possible. 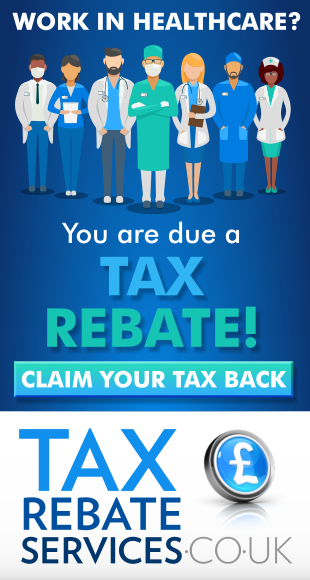 In addition if you purchase your own medical equipment such as a stethoscope it is possible to apply for tax relief on these purchases. On completion of a doctors tax relief claim for professional fees and professional indemnity insurance your tax code should increase which will result in less tax being paid in the current and future tax years unless your circumstances change. You meet the cost of the professional fee into an allowable professional body. You are not reimbursed for the cost of the allowable professional fee by your employer. Which professional bodies are allowable by HMRC? It is not possible to claim doctors tax relief for all professional bodies paid into by doctors. Not all professional bodies have an agreement with HMRC and therefore most but not all can be claimed for. You meet the cost of the allowable Professional Indemnity Insurance. You are not reimbursed for the cost of the allowable Professional Indemnity Insurance by your employer. You use your own car not for normal commuting to one place of employment but to different locations such as travelling to different clinics or Hospitals other than your permanent place of employment. Your employer requires that you move workplace to another location for a period that is or is expected to be for less than 24 months. If you use your own vehicle and you are paid the full mileage rate by your employer but the mileage paid is taxed. If you use your own vehicle and you are not reimbursed the full mileage rate of .45p per mile up to 10000 miles and .25p thereafter by your employer. You can provide business mileage records which show the mileage incurred along with any reimbursement made by your employer. .25p per mile after 10000 miles. Prior to the 2012-2012 tax year the mileage rates are .40p per mile for the first 10000 business miles and .25p per mile thereafter. The total mileage allowance figure calculated is not the total amount of tax due back. The amount due back is either at 20% or 40% of the total mileage allowance figure. A mileage claim can be made for the last four tax years. The tools and equipment are purchased solely for work purposes. The tools and equipment are not reimbursed by your employer. Proof of purchase can be provided showing the date and cost. How much can I can claim back? The amount due back is dependent on which tax year the purchase was made and if a capital allowances claim has to be made for the purchase. A guideline would be 15% to 20% of the purchase total depending on which tax bracket you pay tax in.